Electroruga de Buzad – What was the first edition like? Last weekend, the remote village of Buzad, about 40 km from Timisoara turned to (a new) life! 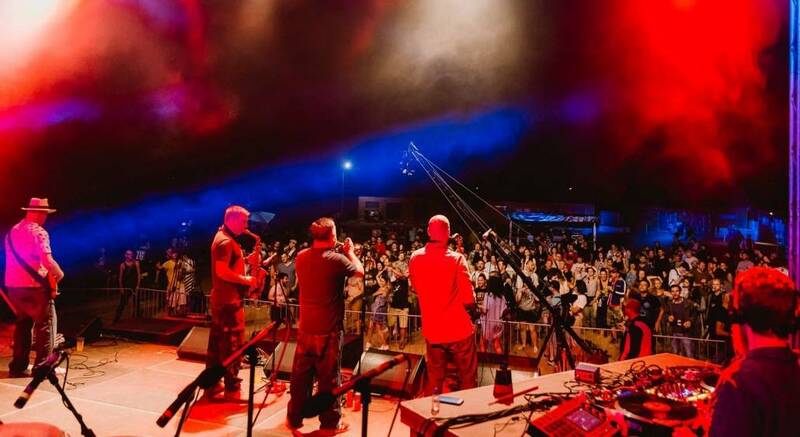 Electroruga, a new festival in our area, turned the small village into a very popular weekend destination. The village of Buzad lies in a picturesque area, surrounded by green hills, a lot of nature and very little mobile network reach. 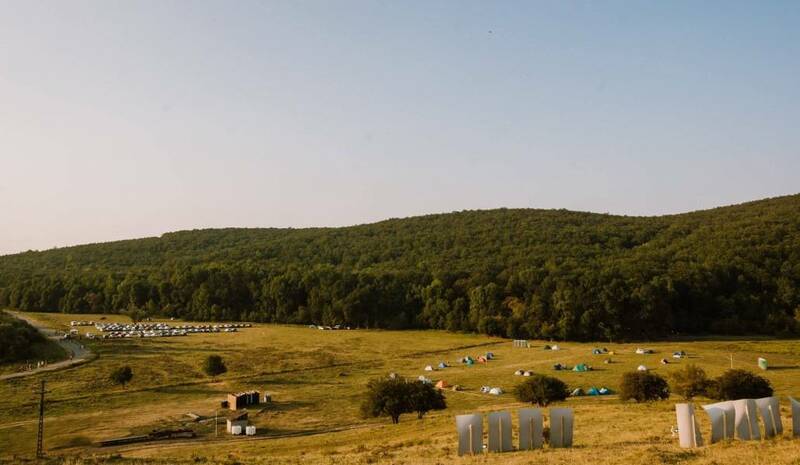 Many of those attending “Electroruga de Buzad” have decided to spend their entire weekend there, camping in the designated festival area or with an “erbnb” host. The festival offered a very pleasant experience thanks to these surroundings, as for a lot of city-dwellers a weekend chilling in nature is something to look forward to! As the heat was taking over the city, those attending the festival had the chance to partly escape the heat by sipping a cold drink in the shade, while enjoying good music in the background. The main festival “chillout” zones turned out to be The Village, a place already designed for such gathering, and the old school in Buzad (where the “old school” stage was located). The old school in Buzad, once a traditional school, was given a makeover over the weekend, as a great place to hang out, listen to music and take part in interesting traditional workshops. Talking about entertainment, the music was, of course, the “salt” that any good festival menu needs. And it was good and diverse. On Saturday, the guys from “Vynil Rum Tapas Wine” keep the crowd entertained with some eclectic mixes at the old school of Buzad. At the main stage, the schedule was very full and entertaining. The evening started with Nopame and Baba Dochia. Then MC Xander entertained the crowd with his beatboxing skills, followed by The Herbalizer and their groovy music. The crowd then danced into the night on music by ENEI, DJ Breaks and Loadstar, Spectrasoul and JFB. The party spirit was alive on Sunday as well, thanks to the music of Dario Rossi, Geordie Little, and Noisy Pots. Taraf de Caliu was the last musical act of the evening and they made the crowd dance to their traditional rhythms and wonder at the artists’ impressive skills. The festival evening officially ended with the very “modern and traditional” play “Miorita” by local group Aualeu – a non-verbal, but very expressive traditional Romanian tale reinterpreted in a modern way. A very appropriate choice for a festival that was a mix of “tradition and modernity”. The festival ended on Monday morning, when Romanian band Subcarpati was in charge of the closing ceremony with a concert which lasted for 3 hours, even though it was scheduled to take only one. The festival was also entertaining thanks to many entertaining workshops. There were so many workshops to choose from, it’s hard to keep track! 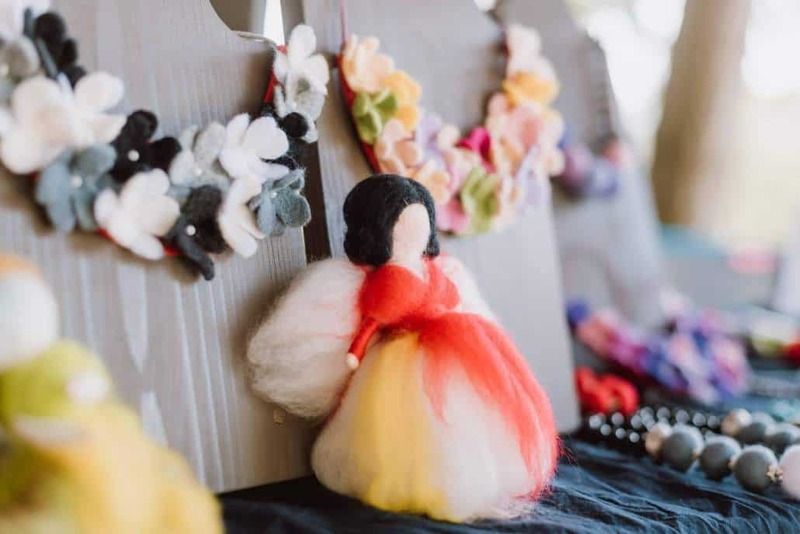 On Saturday, the “fairy-making” workshops were quite popular (especially with the little girls around! ), as was the theatre workshop. The local producers’ “alley”, available throughout the festival, was also a very nice touch, as locals could sell their homemade local products there. From honey to pastries and plum brandy – there were several products available to enchant the taste buds of festival-goers. Natural oils and gorgeous handmade jewelry were also present on the alley. On Sunday, strangers gathered together again to do yoga, experiment with energy painting (by MonaLazarArt), make pizza (and then taste it!) or to learn more about traditional sewing techniques and the process of making traditional masks. And let’s not forget the very interesting scratching workshop held by performer JFB! For more insight on the first edition of Electroruga, check out all the great pictures on their official Facebook page! We sure hope so! We loved this festival and we hope that it will grow even stronger next year. It has a lot of potential, thanks to the unique concept, the great location and all the very enthusiastic and professional people involved. Electroruga, see you next year! https://timisoaratourism.com/wp-content/uploads/2018/09/Welcome-ElectroRuga.jpg 924 1384 TimisoaraTourism https://timisoaratourism.com/wp-content/uploads/2018/12/LogoTMT.png TimisoaraTourism2018-09-07 11:57:512018-09-07 12:15:36Electroruga de Buzad - What was the first edition like? Is the Bigar waterfall in Romania worth the trip? If you turn to Google to ask about “Bigar waterfall”, you’re going to read a lot of positive things about it, like “the most beautiful waterfall in the world” or “most amazing waterfall in the world”. And since you are already traveling in western Romania, you might just go see it, right?! Well, we’re here to tell you the other side of the story. Yes, Bigar waterfall is indeed beautiful, but we think there are so many other lesser known places that are more worth your visit. Amazing place or tourist trap? Yes, Bigar waterfall looks pretty amazing in those professional photos that you’ve seen online. Yes, the water falls nicely on the green moss, forming an interesting water curtain on its way down. But no, it’s not as big as you may think. And no, it’s not a hidden-away gem. Yes, it’s a very pretty waterfall, but Romania has so many beautiful waterfalls, it would be unfair to call this one the most beautiful. Is it a tourist trap? You could call it that. Why? it lacks the natural beauty of a naturally preserved place, as the surroundings have been adapted to cater to the needs of tourists. The amazing professional photographs of Bigar waterfall have done their share of good marketing. Which is in itself not a bad thing, because people should know more about Romania’s wonderful sights. In case you are wondering where this marketing comes from, from what we’ve managed to find out, the photo that started the rising fame of the Bigar waterfall dates back from 2010, from the international tourist guide “National Geographic Traveler – Romania”. Since then, amateur and professional photographers from all over the world have helped increase the place’s fame. I still want to see it for myself. How do I get there? 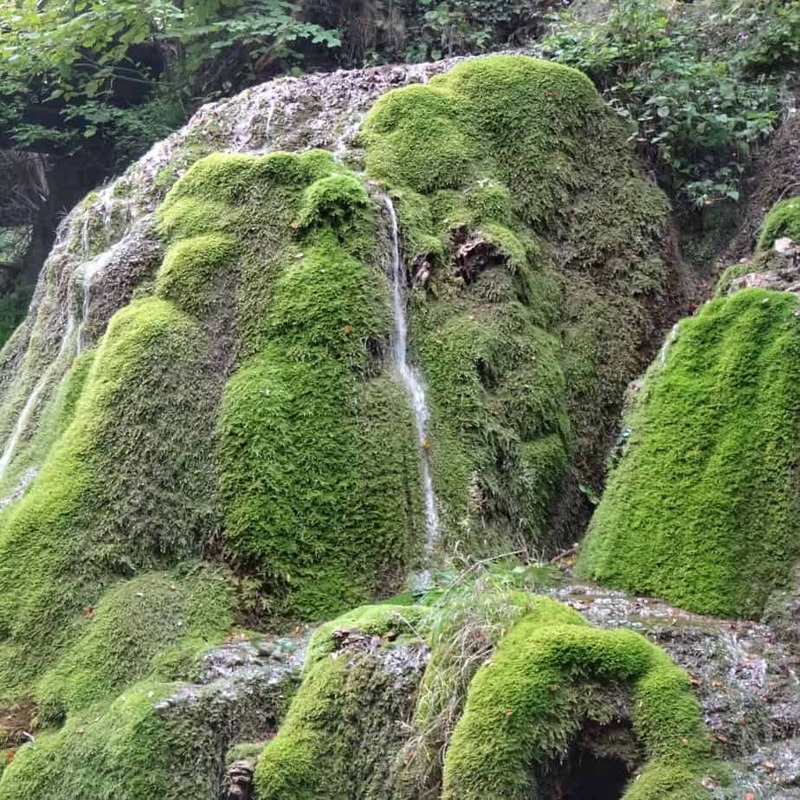 The Bigar waterfall and the Bigar spring are located next to the Bozovici village, in the Caras-Severin country in Romania. 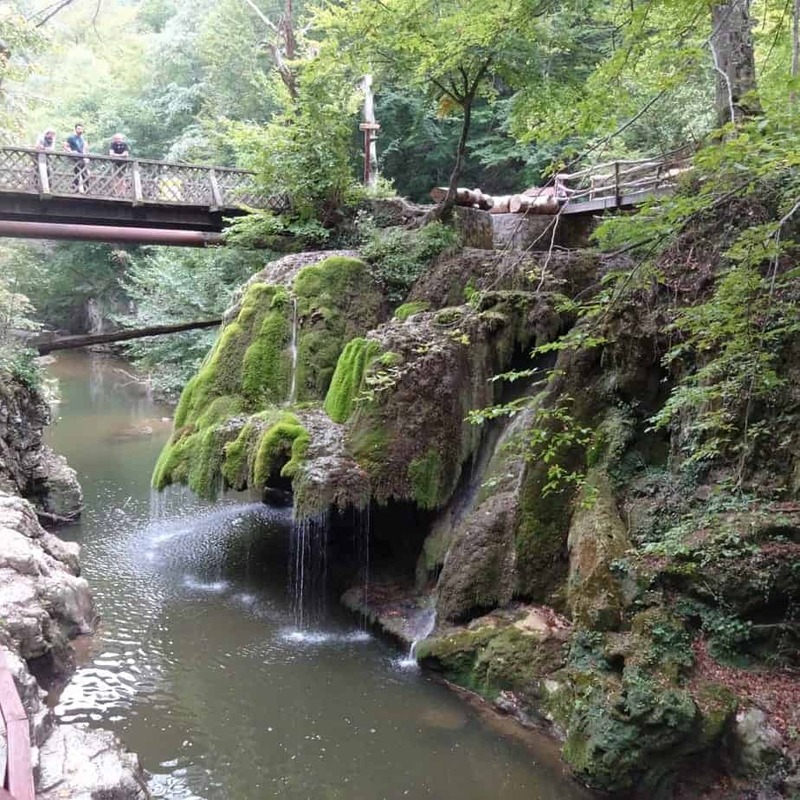 It is part of the “Cheile Nerei-Beușnița National Park” and a protected area. Another way to find is to keep in mind that the 45th parallel runs pretty close to Bigar. If you use Google maps, it is going to tell you that the road through Resita takes approximately 3 hours, while the one through Oravita should take you about 2,5 hours. In reality, the difference is not that much. At the time that we are writing this article, the road through Resita is better, as far as functionality is concerned. So if you don’t mind spending some extra 15 minutes on the road, this is – in our opinion – the way to go. And your (rental) car might appreciate it too! The bottom line: is it worth the trip? If you are in the neighborhood, definitely, do drop by to see it for yourself. It is a pretty sight and it may be worth making your friends envious with pretty pictures of one of Romania’s most famous waterfalls. If you just want to travel there for the waterfall itself, you might be disappointed. As it easily accessible by car – no hiking is required to get there – you might as well plan a visit as part of a bigger trip. Take the time to enjoy the other beauties of the “Cheile Nerei-Beușnița National Park” as well! visiting the beautiful Semenic Mountains and chilling by one of its beautiful lakes. visiting the gorgeous Danube Gorges and enjoying some sun or fish soup there. Have you visited Bigar waterfall? How did you find it? 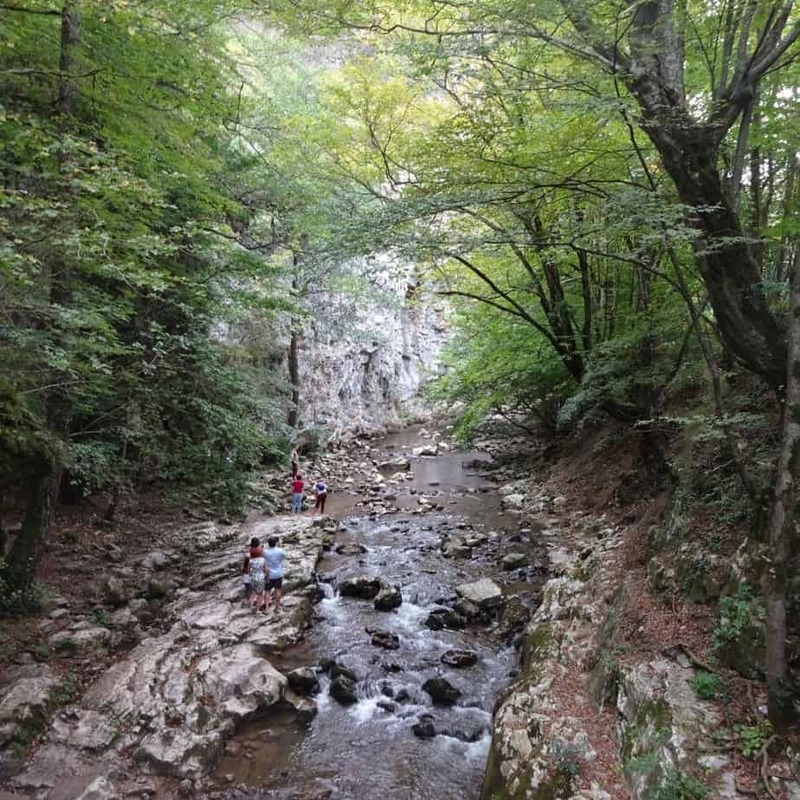 https://timisoaratourism.com/wp-content/uploads/2018/09/Cascada_bigar.jpg 924 1390 CorinaMarcuti https://timisoaratourism.com/wp-content/uploads/2018/12/LogoTMT.png CorinaMarcuti2018-09-04 14:20:132018-09-25 14:16:45Is the Bigar waterfall in Romania worth the trip?